I was recently asked the question, “What exactly is in the 5 free broccoli recipes download?” I thought I’d address it and give you all the details. In the right sidebar is a newsletter sign up that comes with a free download, e-mailed directly to you, with 5 broccoli recipes that my family loves. They are all a different course because I wanted to give you a variety. They can each be made in under half an hour! 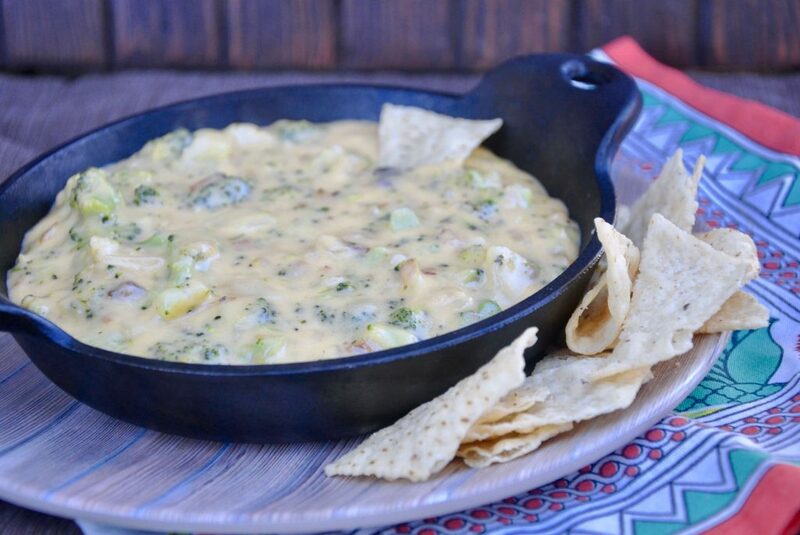 It starts with an appetizer (or lunch sometimes 😉 )- Hot Broccoli Dip. Need a side dish with dinner? 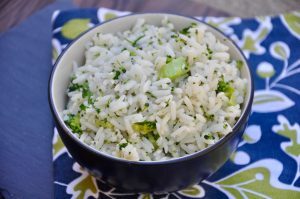 Sesame Broccoli Rice Pilaf should fit the bill! A quick dinner? 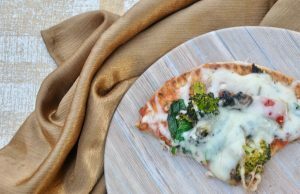 Roasted Veggie Pizzas are delicious and are made in a mere 15 minutes! And last but not least, a soup for summer! 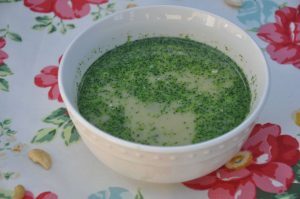 Broccoli Cashew Summer Soup is packed with flavor and a great way to chill on a hot summer night. Every month I send a newsletter to my subscribers. 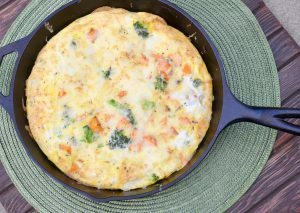 It has a feature recipe with an item of fresh seasonal produce. It has a cooking basics tip. Sometimes it has a random story or reflection from my life, sometimes a non-sponsored product review, and occasionally a random other thing I think might interest someone who subscribes to a newsletter with recipes about using seasonal produce. The broccoli freebie is my way of making sure you’re getting recipes like that right off the bat and don’t have to wait for the next newsletter. The newsletter revolves around the mission to help you make great food at home. I do not share your e-mail or other information with anyone else or use it myself for other purposes. You can also unsubscribe at any time with a little button at the bottom of the newsletter. What are you waiting for? 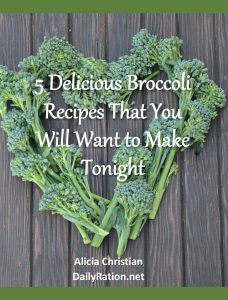 To get your broccoli recipes, sign up in the right sidebar where you see the cover below or you can sign up in the window under the comment box.